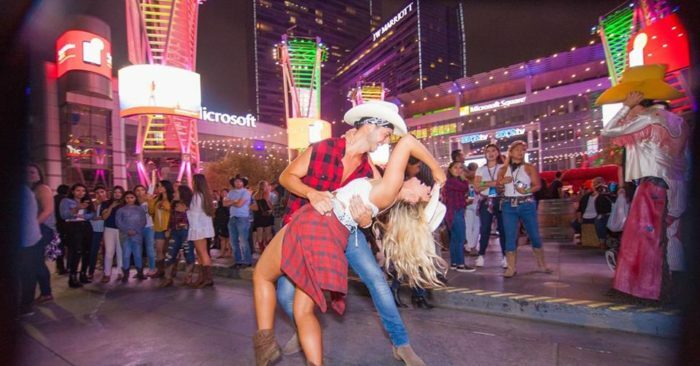 Grab your cowboy boots, because Round Up, the ultimate country street party, returns to L.A. Live on August 23! Sponsored by Absolut Grapefruit, this free outdoor event is open to the public. Come savor a lively summer evening featuring $5 food and drink menus at the following L.A. LIVE eateries: Katsuya, Rock’N Fish, Red Mango, Rosa Mexicano, Triple 8, Tom’s Urban, Lawry’s Carvery, Live Basil Pizza, Smashburger, and Wolfgang Puck Bar & Grill. The evening will also feature a beer garden, mechanical bull riding, live musical performances, line dancing, country-themed vendors, rodeo ropers and more! In addition, enjoy the spectacle of cowboy stilt walkers and Western-themed street art. Dance, play games like corn hole and milk can toss, check out the talents of a Western caricaturist, get your picture taken at the stagecoach photo booth, and much more. You can find additional information via the link below.